About Costa Rica Rios. 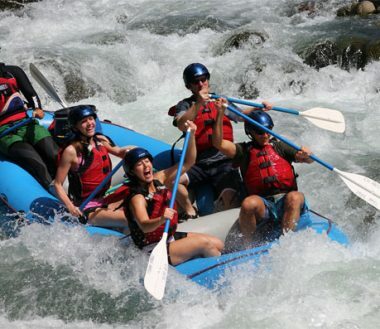 Costa Rica Rios is an adventure vacation company. 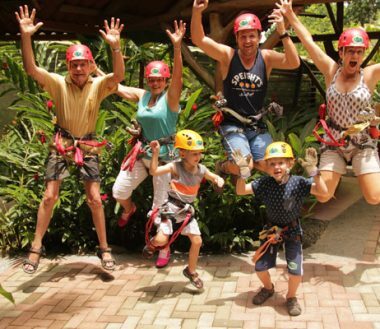 About Costa Rica Rios Adventure Travel Costa Rica Rios is a family run, multi-sport adventure based company that has been operating tours in Costa Rica since 1995. Specializing in displaying the best of this beautiful country’s whitewater, rainforest and jungle, Costa Rica Rios continuously strives for higher quality tours by updating our safety standards according to U.S. regulations, and constantly improving our itineraries to surpass all our clients’ expectations. Costa Rica Rios operates out of the unique town of Turrialba, the whitewater and adventure capital of Costa Rica. Turrialba is located just 2 hours east of the capital city, San Jose, providing us the perfect starting point for a tour jam-packed with adventure. With our equipment warehouse, full of our private high quality gear, and our logistical support office both located in Turrialba 365 days a year, we are able to serve you with full time, highly skilled guides, instructors, chef, and office manager. We have personally explored and enjoyed many of the region’s attractions and know which ones will give you the best experience while you are here. In addition, by living in Costa Rica full time, we have constantly updated and indepth knowledge of the rivers, local festivals or holidays, and any other changes that may be happening that could affect your experience. Costa Rica Rios is pleased to support the many small, local businesses in Turrialba by buying local produce, using the local supermarkets, and by employing local staff whenever possible. We also support several non-profit environmental organizations here in Costa Rica as we use them for some excursions during our “Week of Adventures” and “non-paddling partners” itineraries. By choosing Costa Rica Rios for your adventure vacation, you too, will be helping support these communities. Though based in Costa Rica Rios full time, Costa Rica Rios is legally incorporated in both the United States, as well as Costa Rica. We maintain high safety standards, excellent professional equipment, qualified and friendly guides, and fair pricing. It’s no wonder we are recommended by some of the most reputable travel guidebooks such as Lonely Planet, Let’s Go Travel Books, and Frommer’s. The local information we provide, our personalized answers to your questions, and the value you get for your money sets us, at Costa Rica Rios, apart from the competition.Come experience the difference! Costa Rica Rios Mission, Vision & Values Costa Rica Rios will provide the highest quality service to meet all client’s needs and expectations. Employees will strive to increase our guest’s sense of adventure, awe of nature and expectation of professional service… read more. 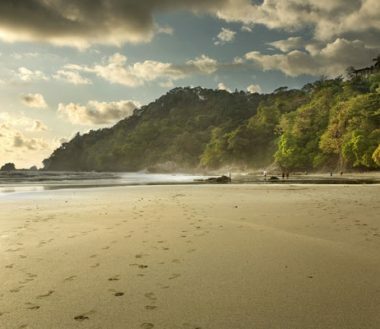 Sustainable Tourism Costa Rica Rios aims to respect and support the environment in every way possible. As a nature based adventure company, it is important that we not only leave the beauty of Costa Rica as we found it, but also improve on… read more. Guides and Staff Jane (New Zealand) and Fraser (Scotland) Tyrrell – owners of Costa Rica Rios, have a background of travel and adventure. Coming from different sides of the globe they both set out backpacking at a young age, travelling through… read more. Resources Costa Rica resources… read more. Videos Costa Rica Rios videos… read more.